This major publication brings together the results of monitoring schemes organised by the BTO since the early 1960s to track the changing fortunes of Britain's breeding bird populations, and gives the first definitive insight into the health of our breeding bird populations. 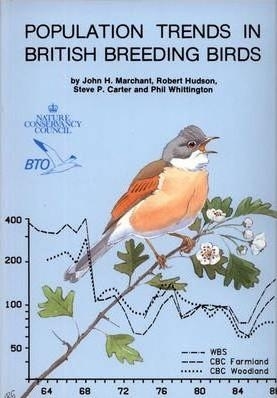 Some 164 species are covered, with detailed graphs of population changes over the last 27 years for two-thirds of them. These changes are discussed in relation to factors such as climate, habitat and forestry/agriculture, and the implications for conservation are emphasised.